Grading System for Schools in Arizona. Did your School Make the Cut? A report card for schools? Life has come a full circle, students would think, as the Arizona Department of Education believes a grading system for schools can prove to be a vital move towards making parents’ life easier when choosing the “perfect school” for their wards. Therefore, it has floated a website for schools named ‘AZ School Report Cards.’ Taglined Arizona Department of Education’s comprehensive school report card system, the website may help residents find out more about schools in the state. You may search by the name of schools, districts, address, city or even zip code. So, if you wish you see how your favorite school has fared, you may to get more comprehensive info about it. According to the AZ School Report Cards website, there are 1,983 public schools in Arizona comprising 1,424 district schools and 559 charter schools. “The selection of a school is an important decision for Arizona families. The report cards found here assist in making those important decisions. Use the school’s page to explore more about your school or search for a school that you are interested in,” states the website. About 207 traditional districts and 434 charter districts together form 641 districts in Arizona. So, if you are new to the state, you may check out the districts’ page to get a better idea about your school district. And if you already have a school in mind, you may explore more about it as well as the school district that may have caught your fancy. Under the Federal Every Student Succeeds Act (ESSA), it’s obligatory for states to identify schools for Comprehensive Support and Improvement (CSI), the website substantiates. This may include overall low student achievement or low graduation rate as also Targeted Support and Improvement Schools (TSI) for low subgroup achievement. Moreover, after every three years, the schools are identified. 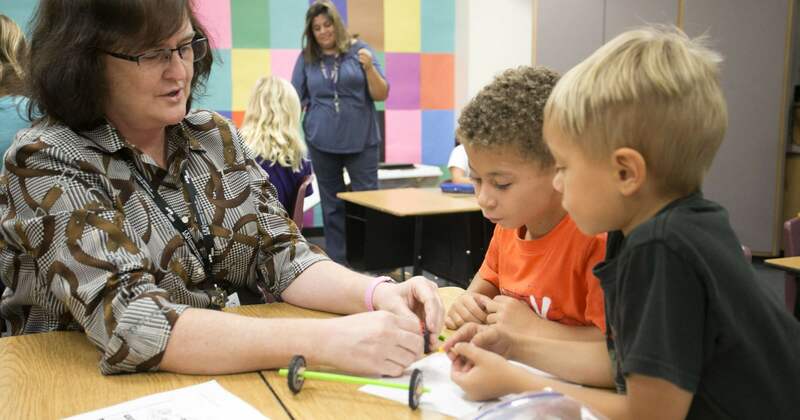 “The mission of the Arizona Department of Education is to serve Arizona’s education community, ensuring every child has access to an excellent education,” said Diane Douglas, Superintendent of Public Instruction, elaborating more on Arizona’s K12 education on one of the website pages.